Travelling from place to place in Turkey is not much of a problem in as you have some choices. It is custom for many to book last-minute when getting transport to another location, which can be done, just plan ahead around any major holidays or you might get stuck. The trains are run by Turkish State Railways. Over the past few years, the trains have been undergoing an overhaul, but most are finished by now. Just double check which trains are available for your travel needs. If you are traveling to more provincial areas, this means of travel is your best bet, however they are going to be slow. The routes to Kayseri, Kars, Erzerum, Adana and Diyarbakir from Ankara go through some mountainous regions. If you are under a time restraint or have only a week or less, traveling on the road will take half the time. If you do wish to take the train, there are several seating options available. If you are traveling overnight or on a longer route, it is advised to get a sleeper. There are various price options for sleepers. They will be air conditioned and have a washbasin with bedding, pillows and blankets. For some more economic priced sleepers, you will need to have your own bedding. If you are backpacking and have an easy to carry sleeping bag, this might come in handy. You can book your tickets in advance or get a general idea of what is available from place to place that fits in your itinerary on www.tcdd.gov.tr. As the English is not easy to understand, the website www.seat61.com can help explain much of the details when booking, including meal reservation. Long-distance bus travel is a big part of travelling around Turkey for visitors and locals. In the major cities, the ‘otogars’ or bus stations are a hub of commerce. There are plenty of places to eat and drink and even shop. There are dozens of bus companies in competition. The buses are large, air-conditioned coaches with television screens for each seat with choices of films and TV channels to enjoy during the long ride. Some companies even have Wifi. There are no bathrooms on board, however there are frequent stops every couple hours for a few minutes that gives enough time to use bathroom facilities and get a quick meal. You can book your bus travel online, however sometimes the best way to get on a bus is to simply go to the station when you are departing. You can visit the various companies to see which has the best rate and best price and departure/arrival time. Again, if you are here during holidays, book in advance and do not wait up until the time when you wish or need to leave. The top premium companies are Varan (www.varan.com.tr) and Ulusoy (www.ulusoy.com.tr). For those visiting Dalyan, the main bus terminal is located in Ortaca, a 15 minute dolmus ride from the town centre. The dolmus to Ortaca departs roughly every fifteen minutes or so, beginning at 7.30am. From 20.30pm they then decrease to every 30 minutes until midnight. The dolmus to Iztuzu Beach begins it’s service at 7.30am and runs every 30 minutes until 7pm. One way tickets on both of these dolmus are 3.75tl per person. Locally, these are called ‘dolmus’, meaning ‘stuffed’. They run along pre-determined routes and they pick up passengers along the way. They may be cars or small vans and you can catch them where they start at a stop which is marked with a blue sign with a ‘D’. The final destination may or may not be marked at the stop. If it is not, you will see it marked on the dolmus when it pulls up on the windshield. The fares are very affordable and are more ideal for traveling from one end of a city to the other. They will be packed tight with passengers, hence their name. They are a fun way to see how the locals travel. In the larger cities, you can get around on the city buses. To get on, you must purchase your ticket in advance at the main terminals or newstands. The tickets or tokens are called a ‘jeton’ or you can get a travel card. This is mainly in Istanbul, called the ‘Istanbul Kart’. In the cities you will find plenty of taxis and you can hail them right from the street. If you are in smaller towns, the best way to get a cab is from the telephones on the street corners. Some have a buzzer you can push and then you just wait for a cab to pull up. All the cabs have meters and the cost of using the taxis are more than reasonable. One tip; many of the drivers do not speak much or any English. Have your destination written on a piece of paper to show them when you get in the cab. It is not uncommon to get over-charged, just be sure your driver puts the meter on when you get in and if you can, have an idea where you are going so they don’t ‘get lost’. In Dalyan there are always taxis driving around but the taxi rank itself is located in the town centre near to the turtle roundabout. You must be at least 21 years old and in possession of a driver’s licence. Most national licenses are accepted, but it doesn’t hurt to look into obtaining an international license. Book your reservation in advance. Driving in Turkey is not for those who are new to driving. If you have nerves of steel and do well under defensive driving conditions then getting around in a car is one of the best ways to travel this country. Road conditions are constantly improving with even hard shoulder areas off to the right of the driving lane. Slow drivers use this to pull off on to let faster drivers pass. Just be careful if you are driving at night, as many people walk these shoulders and there may be broken down cars. If it can be avoided, it is safer if you do not drive during the night. If you have a trusty travel partner who possesses a talent for navigating, they will come in handy as signposts are little to none at all in some places and many towns are not clearly marked. ● Drivers that overtake incorrectly. Many do not signal. ● Over-loaded speeding motorcycles and scooters. For some information of driving in Turkey, including laws and regulations, the site www.turkey.angloinfo.com/transport/driving/ has some valuable information. 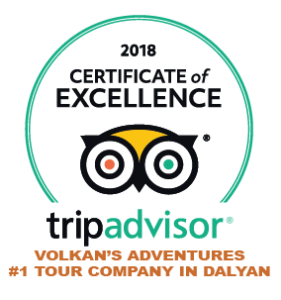 For renting a car in Dalyan, we reccommend using the services of Sayılan Tourism, very reliable, well priced and professional with a huge range of vehicles available to suit all requirements and budgets. 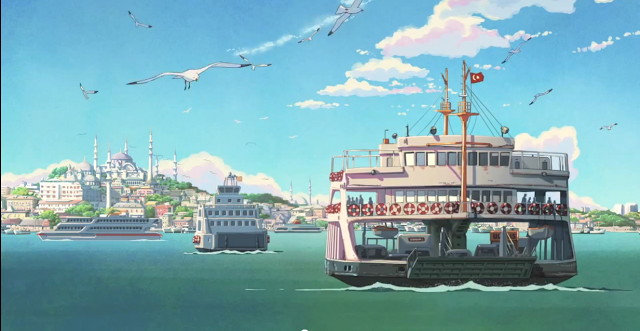 The ferries are located in Istanbul and the Sea of Marmara. They have transport from both the Asian and European side of the Bosphorus strait and the Princess Islands. Some longer trips can get you to Mudanya if you are going to Bursa, Yalova if you are going to Iznik or Termal and to Bandirma if you plan on visiting the Aegean coast. These ferries will save you some time in comparison to travelling on the road, just be prepared to pay a bit more if you have a car to get on board. For more local travelling in and around the town it is a great idea to hire bicycles and go exploring. These can be hired on a daily or weekly basis and all sizes, styles and wheel types can be provided. In Dalyan, we can help you organise your bicycle rental.